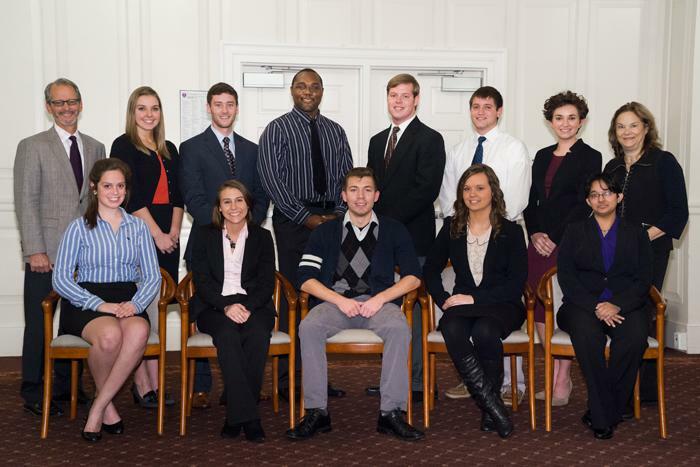 The Spring 2014 Missouri Government Interns will spend the semester in Jefferson City, Mo., earning up to 15 hours of college credit while working with either a legislator, public official or state agency. Pictured, back row, left to right: University President Troy Paino, Jessica Hamilton, Bradley Craigmyle, George Allan, Jr., Dylan Kriegshauser, George Peters, Margaux Meyer and Candy Young. Front row, left to right: Rachel Likert, Deanna Barger, Paul Davis, Katie Walker and UmmeKulsoon Arif. 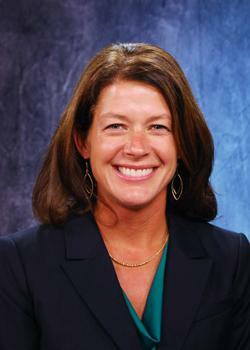 University alumna Jamie Manker will be the winter commencement speaker at 11 a.m. Dec. 14. Jamie (Smith) Manker is the reigning Missouri Teacher of the Year. A social studies teacher and department chair at Rockwood Summit High School in Fenton, Mo., she has taught courses in U.S. government, psychology and the American West, as well as world history and advanced-placement world history. The mission of the Missouri Teacher of the Year Program is to honor, promote and celebrate excellence in the teaching profession. Each district in Missouri is eligible to submit an application for a teacher on staff for consideration. Recipients must be highly respected by students, parents, colleagues and the community. The Missouri Teacher of the Year serves as a spokesperson and representative for the more than 70,000 teachers in the state. Only 44 individuals have been named a Missouri Teacher of the Year since the state began participating in the national awards program in 1957. Boeing and Monsanto are corporate sponsors for the program, and SMART Technologies serves as a supporting partner. In the classroom, Manker strives to empower her students, then pushes them to achieve goals they may not have thought possible. Community service is also a key component of her teaching philosophy, as she provides her students with avenues to participate in various outreach programs, whether it is volunteering at Ronald McDonald House, working at school improvement events or serving as tutors for younger children. Manker earned her Bachelor of Science degree in history from Truman in 1998 and remained on campus to add a Master of Arts in Education in 2000. She has spent her entire professional career in the Rockwood School District at Rockwood Summit High School. As the Missouri Teacher of the Year, she is eligible for the National Teacher of the Year award, which will be announced in March. Manker lives in Maryland Heights, Mo., with her husband and fellow Truman alumnus Terrance (‘97) and their two children, Kyle, age seven, and Tyler, age five. KTRM, the University’s student-run radio, was featured last week on mtvU’s College radio countdown with a video that aired the week of Dec. 3-6. The College Radio Countdown features the best in college radio across the country. Each station can submit a one-minute video and a top 10 list of songs that exemplify the station. KTRM’s list and video are available online here. KTRM 88.7 The Edge is Truman’s only student-run radio station, home to more than 120 students in 35 different majors, and winners of the 2013-2013 Intercollege Broadcasting System’s awards for Best Station Manager and Best Program Director. The Edge is available online and on the Truman State app on iPhone and Android. The Office of Advancement invites you to a Celebration Reception to honor Michele Breault, Bruce Coggins, Werner Sublette and James Tichenor from the School of Social and Cultural Studies to celebrate their careers at the University. 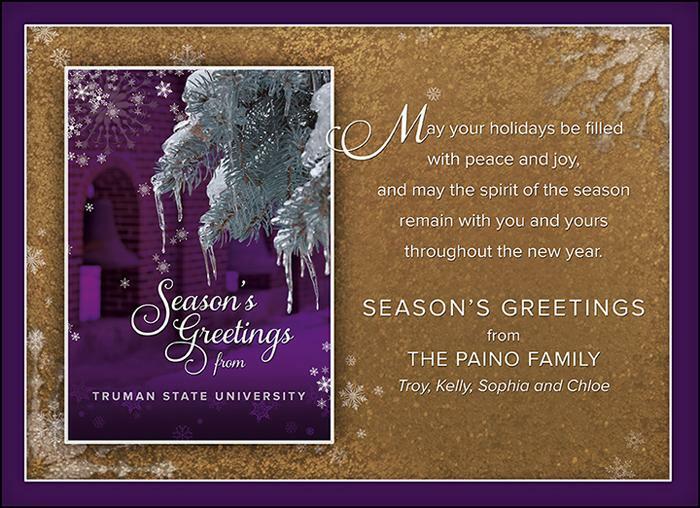 The reception will be 1-3 p.m. Dec. 11 in the Activities Room of the Student Union Building. 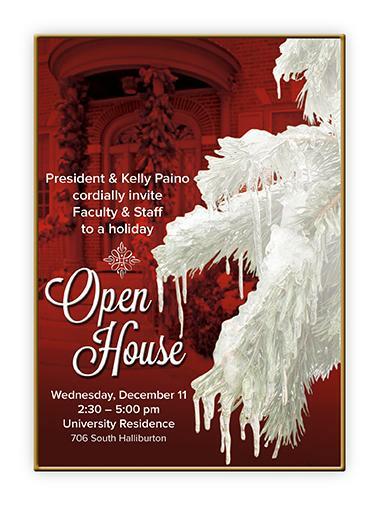 University President Troy Paino will make opening remarks, and refreshments will be served. The Department of Public Safety will be providing a shuttle service on the following dates from the LaPlata train station. Cost is $10 for a reservation to be held. Payment is due by 12 p.m. Dec. 13 in the DPS Office in the General Services Building. DPS will be open Monday-Friday, 8 a.m.-5 p.m. For more information, contact Joyce Cook at 660.785.4177. The campus is invited to the Campus Appreciation Day for fellowship and food at the Military Science Department. Food will be provided. A one credit hour course is being offered for the spring 2014 semester by The SERVE Center in partnership with the Department of Health Science. This student-initiated course will consist of approximately 30 hours of service with an additional 10 hours of meal discussions, meetings and planning sessions. To enroll, send an email request to serve@truman.edu for a copy of the syllabus and course application. For more information, contact Geoffrey Havens at serve@truman.edu or at 660.785.7222. Check out the new titles in our popular reading section or choose an audiobook for your trip home. The library has more than 1,600 audiobook titles to choose from that are renewable online. Help new Truman international students feel at home in Kirksville by inviting them to dinner during New Student Orientation. Students that want to host a dinner should include a vegetarian entrée, have a house within a 10-minute drive of Truman’s campus, and plan for groups of six to eight students. 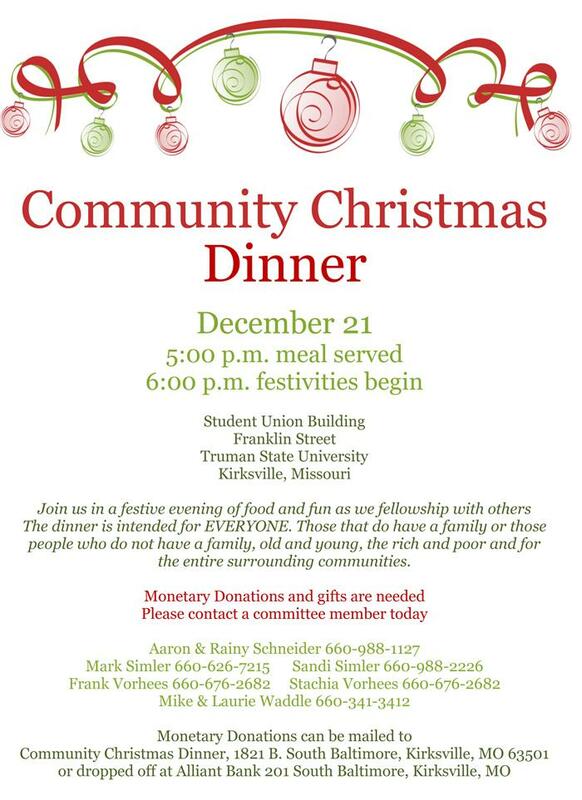 For more information or to sign up, email Annie Connor at aconnor@truman.edu by Dec. 9. The Academic Competition Team won the Kansas State mirror of DRAGOON competition Nov. 9 with an 8-0 record. The winning team was comprised of Jacob O’Rourke and Nick Vellios. O’Rourke finished first individually and Vellios placed third individually in scoring. Statistics can be found here. The Residence Hall Association will host its 23rd annual Box Fort Building Contest from 6-8:30 p.m. Dec. 10 in the Kirk Gym. The Stargazers Astronomy Club will host an open house from 6:30-8:30 p.m. Dec. 10 at the observatory, located at the University Farm. Students will have the opportunity to view and learn about constellations, planets and more. An information session for next summer’s “Experience the Middle East” study abroad course will take place at 4 p.m. Dec. 11 in McClain Hall 212. Exploring ancient and contemporary cultures in Jordan, Israel, Jerusalem and the West Bank, plus two weeks of archaeological work at the ancient biblical site of Bethsaida, will form the itinerary of next summer’s MDST 300 experience. For further information, contact Mark Appold at mappold@truman.edu.